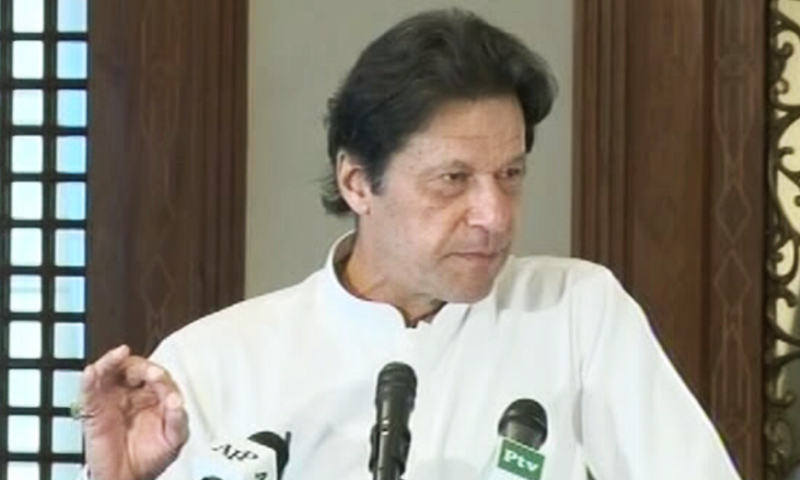 Commenting on PML-N 'supreme leader' Nawaz Sharif's refusal to seek medical treatment within Pakistan, Prime Minister Imran Khan on Monday asked why, if the Sharifs were in power for 30 years, they were unable to "build one hospital where they themselves could be treated." 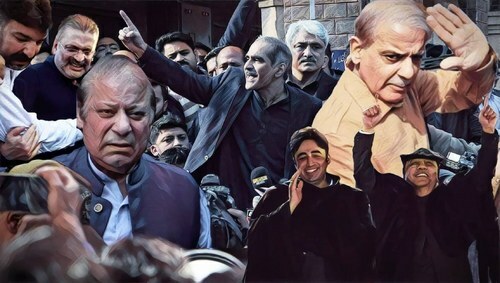 The remark came during an interaction with journalists in Islamabad, where the premier was also reported to have complained that: "The Sharifs should be ashamed they created 30 factories out of one, but could not build a single proper hospital for the people." "Ishaq Dar's farther used to sell bicycles; even he [Dar] gets his treatment in London now," the prime minister further remarked. He also made it clear that he would not allow any convict to cut deals with the government, while stressing that the law does not allow any prisoner to be accorded treatment that 150,000 other incarcerated individuals cannot receive. 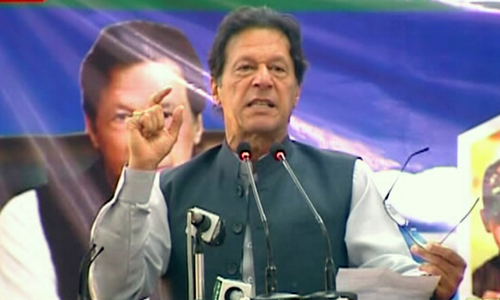 Speaking about the financial situation of the country, Prime Minister Khan said that his government had inherited its financial crisis. "The previous government left a record debt behind: they sent the debt soaring to Rs30 trillion. If my government takes on less loans than they did, it means we are in the right direction." "We have taken steps to stop money laundering. Our foreign exchange [reserves] are increasing and investors are coming to Pakistan. Our foreign policy is in the right direction." "The same US that used to tell us to do more, is praising us today. It acknowledges that there can't be peace in Afghanistan without Pakistan," he said. Speaking about the National Accountability Bureau, the premier stated that the organisation is independent of the government and noted that all corruption cases being pursued against leaders of other political parties are 'old'. 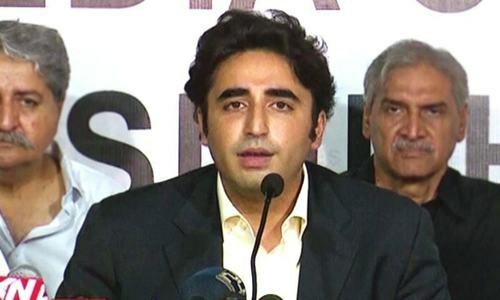 "Bilawal Bhutto is making a lot of noise, [but he forgets that] the fake bank accounts case has been under investigation since 2016. 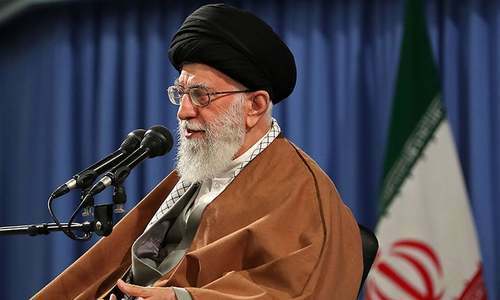 Corruption in this country will only end when the major players are held accountable," he said. Commenting on India's continued anti-Pakistan narrative, the premier said that Indian Prime Minister Narendra Modi "is stuck in war hysteria." "He has turned hatred for Pakistan into a political campaign," the prime minister regretted. PML-N spokesperson Marriyum Aurangzeb reacted to Prime Minister Khan's comments and said that he is using NAB and the National Reconciliation Ordinance (NRO) to "hide his own incompetence". "Imran Khan spent the last five years doing politics over Nawaz Sharif and Shahbaz Sharif. Even today, his biggest fear are the two Sharif brothers," she said. "The opposition is uniting against Imran Khan's incompetence," she said. Once again, he is 100 percent right. Yes, they are bad...but they would answer that as your claims may be wrong. But, How many you built, or planned, in KPK in about 6 years now? Nawaz Sharif should be given plea bargain. He should be asked to pay back looted wealth which is about 200 b rupees. About 80% of it and pardaned to go abroad. Couldn't agree more. Also bitter truth indeed..
No one can deny the facts,the Khan has spoken today.Truth is the winner. I totally agree but how did Dr. Asim go abroad for treatment? 5 years we will only find faults.. Hospitals are built by, and for, ordinary human beings. The Sharif brothers and their cohorts belong to an elite group, whose health care needs can only be met by private hospitals abroad. Not a problem of hospitals and doctors. Seems merely a excuse to leave tue country & reunite with family after unconcieved defeats. It’s obvious with this interview that IK has been asked for NRO for NS. Shariffs and Zardaris got their chances to rule the country for a very long period and what they did? Bankurupted the country. People of Pakistan are very happy with Imran Khan/PTI. We don't want the looters and thieves. Once again he is a 100% failure . Don't know how to improve the situation . Just keep repeating the same mantra when he was in opposition. Some body tell him he is a PM ( selected) . What a incompetent person. I'm sure they have. And what do you think the reply is? No London Hospital for Convicted Nawaz. Correction! They have built ONE hospital. Unfortunately it is not good enough for them. If PTI ministers can get treatment abroad, why can't nawaz? Further if nawaz dues in jail due to perceived lack of medical facilities. Is this point scoring worth the anarchy that will follow? You guys are lucky to have Imran as a PM. He seems to be incorruptible and fearless. More importantly, he appears to be a talented statesman. @Aamir , IK has given his life, blood and sweat to this country which is already drowning in debts due to taking heavy loans in previous tenures (Loans out of which roughly only 30% were used to build a project and 70% was allocated for his team/kids). This is how the development was made and it was definitely not sustainable. @Tahir Raouf, I think you will find 50 years or PPP and PLM looting and gross mismanagement has caused this crisis not the current government who are trying to fix it. Keep taking the medication if you believe otherwise. As soon as economy takes a bad hit in terms of high dollar rates and other gas prices issues the IK tries to divert attention through this. IK we need reforms as promised by you. We need Dollar rate to be at 50 as promised by you. How come you forget and also now trying to put gas mismanagement on consumers? Its amazing that with poor finance status of Pakistan, this man is talking like this. Dear prime minister stop the blame game and improve your own performance. Very correct Mr.PM. you are sayig what we are all thinking & keeping inside our hearts. They are not feeling shame or remorse for what they have done to this loving country. Alas, these looters should have little bit of heart to return what they plunder. Those who plundered money should be retrieved and culprits be sent to jail. Did Nawaz Sharif rule the country for thirty years? 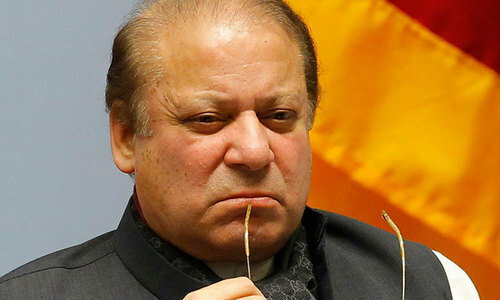 He appears to be on the nerves of our ex-cricketer prime minister day in and day out. Let the courts decide his fate. The country needs more attention than spending time on a had been. It is time for the prime minister to pay more attention to the problems other than the ex-prime minister. For the first time I agree with IK. IK has the right response to recent criticism. Nawaz Sharif never asked for Nro. in a few years we will evaluate PTI in the same manner. @Shah, Why 80%, he should pay the whole lot, If he is guilty of looting the amount mentioned. Cuba is economically poorer than Pakistan and has one of the best health care systems in the world. It is also free for non-citizens who wish to get treatment. PM Khan's comments are pretty thought provoking. @Usman Y., Imran Khan built the second cancer treatment hospital in KP, even though he was not an elected official. PTI was not an elected government until less than a year ago, so why do you expect them to have built a hospital? Built 1 hospital, and the KP public education was revamped and made so efficient that people are pulling their kids out of private schools and back to public. Every resident there has access to Rs 700,000 in annual healthcare treatment. The resources to accomplish this were always there. The will of the corrupt politicians was missing. Now we have a capable leader who is proving himself, so let the government do it's job. Nawaz built personal industrial businesses and so hospitals were bottom of the list, it was the captain who built the first cancer hospital. As if IK has created the best health care system in the kp. Furthermore, he can't always hide behind NS failures as he is as incompetent as NS or more so. Yes, his statements appeal more to emotions than reason. I have no problem providing facilities to Nawaz, if you can provide same facilities to another prisoner in the same health conditions. I was the first one who made a comment on DAWN several years ago that Sharifs could not build a single hospital in Pakistan where at least people like him could be treated. That comment of mine went viral. Now when IK makes the same comment then it is fine but someday the same could be said about him. He needs to make sure what Yasmeen Rashid is up to in Punjab. The only thing I see in her is making visits after visits to the hospitals in Punjab. What is that going to do in improving the conditions and facilities in the hospitals for the people. I have never heard so far what are her future plans. I think she could be a very honest person but at the same time does not seems to have the vision of what she wants to achieve in her tenure. That is very sad. @Aamir , 30 years of Nawaz Sharif compared to one year of Imran Khan? @Sayyar Khan, Speaking of Musharraf, he’s paying for his treatment, Nawaz wants Pakistan to pay, that’s the difference. @Kf Khan , KPK has the best health care system in all of Pakistan and PTI made it. It might not be up to international standards but is in a much better shape now than 6 yrs ago. Nawaz Sharif 's appeal is before Suprem Court. It is about time IK stopped his public comments , let the SC make decision. If MNS is a convicted felon, does he deserve privileged treatment? Let 'Elites' for their exclusive privilege build a state of the art hospital exclusively for themselves. May be future felons will have no complain. @Zeeshan Ahmed , Cuba is also a communist country. Should we become one too? Why is the media only focusing on this issue, are there not other issues. The state of the economy, judicial reforms, police reforms, education etc.... The list is long. Imran is correct and hit on the nail regarding Nawaz's fake illness or getting treatment in Pakistan. @Shah, and you think they will give you back the money. You can't even get a few grand back from an average pakistani and you expect that they will go for this idea... you are truly so niave. @Usman Y., give him a couple of years and then pose this question to him. Dar's poor 'farther' he probably couldn't have afforded treatment in Pakistan hospital now look son is enjoying London hospital. @Usman Y., he made the old one much better than they were. There is still improvement to be made as the old system and people who have been working there for decades doesn’t want to change. Apart from that he build SKH in Peshawar . But he is talking about 30 years and being the PM of Pakistan. IK has been PM for hardly a year now . Did someone calculate, from where thirty years came? @Shah, no you’re missing the point of justice. No pardon , this is for people who appease . 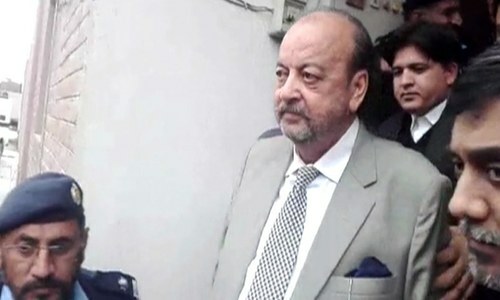 He must be punished severely and also recover money he looted by confiscating his assets . Zaradari and others must also be brought to justice. Ms Marriyum Aurangzeb, could you please answer why was there no hospital built during their 30-year tenure by your elders before playing hide and seek game or the game is over already for your mentors! Let the elected man do his job meanwhile your elders face the accountability here, and thereafter in waiting! You should be ashamed every time PML-N ruled the country, they ditched the country into bankruptcy! Why no accountability? His whole Politics is built around Nawaz. I mean look at his almost a year in office. You would not find anything from him going to solve our issues but Nawaz Nawaz and Nawaz. Who supporting him now its time to grow up. @Usman Y., - ask this question after 30 years - he has built hospitals and universities - yes no Raiwinds. @Tahir Raouf, looks like you have not read anything for the last 30 years. Nawaz Sharif is in prison, not a country club. He is no different than any other criminal. He needs to be treated in the prison hospital just like all the other sick prisoners get treated. @ Shah - agreed but slightly change the figure..he should be give plea bargain to hand back 95% of the looted wealth and leave 5%. and sign a legal doc where he and his family members now and future will never enter politics again and he will not trash talk the govt and the army again ! @Usman Y., at least, he is not asking for treatment in London. @Fawad bhai, Have you ever been to KPK? Certainly not. Look who is talking. After his six years in KPK, Peshawar is a dump. Can he explain how his sisters became billionaires. Todays news, 90,000 ghost students and over 40,000 ghost schools in KPK. Another lie to trick simple people to vote for PTI. They are all the same. IK has disappointed so many people who voted for him. @Tarique Paul, Please keep in mind that not a single penny of looting has been proved yet. It is not about good or bad hospitals. It is about which hospitals and doctors have carried out his previous surgeries and who fully understand his case. @Zeeshan Ahmed , please migrate to kp. If such a paradise. Well said PM Imran Khan, why must a convict be sent abroad for treatment, no where in the world convicts are ever sent overseas for treatment. @Australian Eye, Electronic transfer of records are available to follow standard medical care and surgical guidelines regardless of the place. Same Pakistani doctors are in UK, USA or Australia for that matter. Some of the doctors in Pakistan are overseas trained as well!. @Australian Eye, I wonder why he’s in jail? @Australian Eye, - stay in Australia- we don’t need your input in this issue. But it is very painful to surrender life time hard earned illegal money.....!! True....but he didn't looted the public money with bare hands. But ...!, Who were responsible...? If you are so much of NS fan than bring him back to power again. U-turn again. How come Nawaz at fault for not buliding hospital? Hospitals are built by people like Edhi or IK who do charity. Nawaz never ran any charity how come Nawaz is responsible for Hospital? IK's day in office are over. Someone please explain to IK that buildings are neither good nor bad. They are just that: buidings. Their usefulness or otherwise is dependant on the level of social awareness,state of the economy, and political cuture. Agree with everything you said Mr PM, but can you please activate your Punjab bureaucracy. It is in freeze - mode, paralyzed and not making even the most basic decisions. This incompetency is reflecting very badly on you. @Tahir Raouf, please get real . Nawaz Sharif deserves the exact same treatment and medical assistance that common people in jail get. No preferential treatment. What's the matter? Don't trust the local doctors? You have such little faith in your own nation. Excellent point. Palestine and Iraq are war zones and have better infrastructure than Pakistan. Better rights for women too. More tolerance for difference among their own people. I wonder why our country is lagging behind when we have so much to offer. But no resources. 33 million US dollars. That's what he owe the nation. We will not see him return it. He already tranfdferred much of it into properties nd accounts abroad. Freeze his assets pending investigation already. What is IK waiting for? The ex PM has stolen money which belonged to state and was given in loans and foreign aid to improve Pakistan not line Nawaz Sharif pockets or boost his private bank accounts and assets. He should give the millions of dollars he owes the country and go to jail. What he has done he is criminal. IK should be concerned with that. Anybody should. Aren't you? Imran Khan we are with you 100 percent as long as you are good to Pakistan. Pakistan Zindabad..
As a Indian, i would say this. I am very impressed with Imran Khan. He is right on the money. That is the case with Indian politicans as well. Loot the nation and go abroad for medical treatment. These netas want to be treated special. IK has a big fan club in India, He is like a breath of fresh air in this subcontinent. Wish you well Dear Prime Minister. Want you to know regardless of the war hysteria, there is a silent majority of Indians behind you to succeed. You are a decent and honorable man doing the right thing. Beautifully said prime minister Imran Khan: "Created 30 factories out of one, but could not build a single proper hospital for the people". This my friends sums it all up and if anyone is still supporting Sharifs or Zardaris or Bhuttos or any of the other thugs should be in a mental hospital! Well done PM Khan! @Ahsan Gul, I agree with you 100% brother. No he is not right. Please differentiate between political sloganeering & facts. IK's hospital was an idea driven by his mother's demise, otherwise he too wouldn't have achieved it. Moreover, it was built by the emotions and life-time savings of loving citizens of Pakistan, who donated generously only to realize till decades later how IK's own relatives controlled the hospital by forcefully sitting on board of directors. Did IK give in all his savings like the poor folks of Pakistan for his hospital? For a regular hospital to be built, when Shaukat Khanum was built, there weren't many feasible sites. Thence improving the quality & raising the standards of governance was a far greater achievement, denying which is preposterous. True Pakistan-loving persons will always speak the truth. A person with vast experience representing Pakistan should definitely have the expertise to see through the political statements being made to appease simple folk. @A&A, Where did l say that I am a Nawaz Sharif fan and want him back in power. Our present prime minister gives more time to him than to the governance of the country. That is all I wish to be rectified. As far as Nawaz is concerned, like l said, let the courts decide. It is neither for me or any one among the public to decide about his fate or pass a sentence against him. @Zulfiqar, Well you know actually, just can’t say. Period. @KB, Oh you mean a man who was not able to step into pakistan for 8 years should have taken his treatment here. That is only logocal. @A. Mangal, Same question to you sir, have you really been to KPK? @Sardar Ahmed Rao, "First he is not capable besides he is selected one not elected". Can you elaborate? The process was exactly the same, so what is the difference between the previous ones and this one? What makes Zardari and Shreefs elected, but Imran selected with the same process? @saeed, "PTI workers travels on motorways they can thank NS." Why thank NS? it was built by Turkish and Korean companies with Pakistan money. 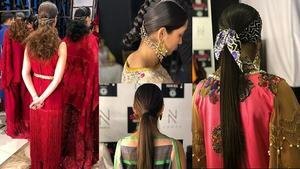 PTI thank Pakistan, Turkey and Korea. @Shan, "Nawaz never ran any charity how come Nawaz is responsible for Hospital?" The PM of a country is not responsible for hospitals?? @Australian Eye, His treatment is not in KPK!